Just Listed :: Charming Tucker Townhome! 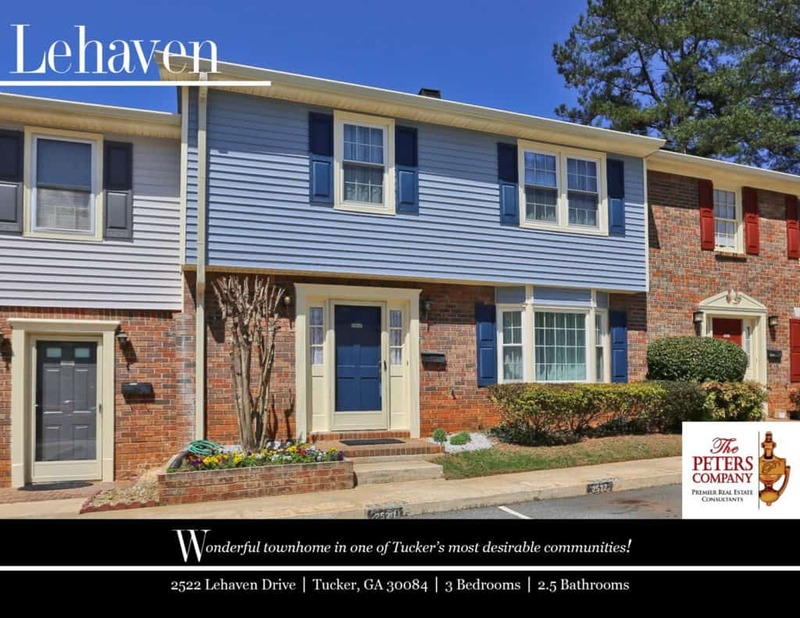 Welcome home to this charming Tucker townhome! Being located in a quiet community with easy access to I-285, I-85, and Highway 78 makes virtually all commutes a breeze. Being in this booming area of Dekalb County also means you get to live as close as you can to the city without the escalating tax bills associated with Fulton County and the City of Atlanta. Convenient location with shopping and restaurants only minutes away! · Kitchen features ample cabinet and counter space along with a pantry perfect for storage. · The formal living room has a bay window that lets in plenty of natural light. · The separate dining room is perfect for entertaining and even has built-in storage. · The spacious den has a cozy wood burning fireplace and built-in bookcase. · The master suite is a true retreat including multiple closets and private master bathroom with double vanities. · The large, fenced patio has slate tiles and is ideal for outdoor enjoyment.